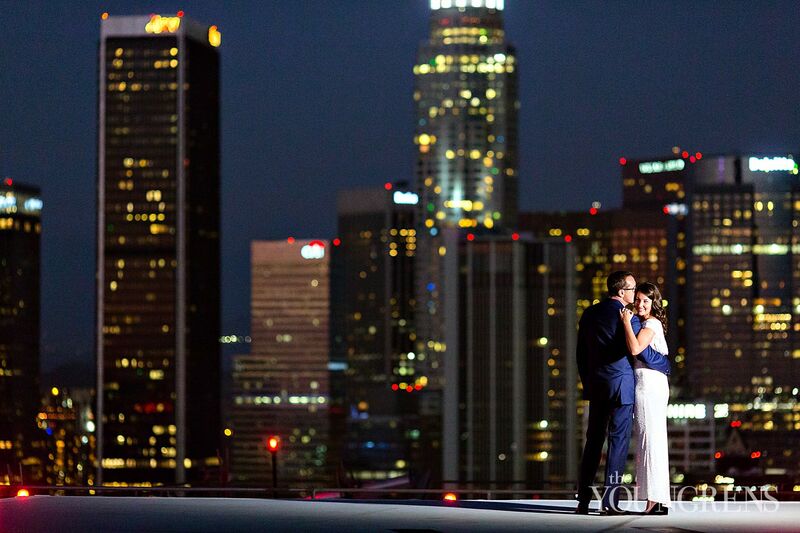 For Sierra, she always had a mental vision in her head of what life would look like. 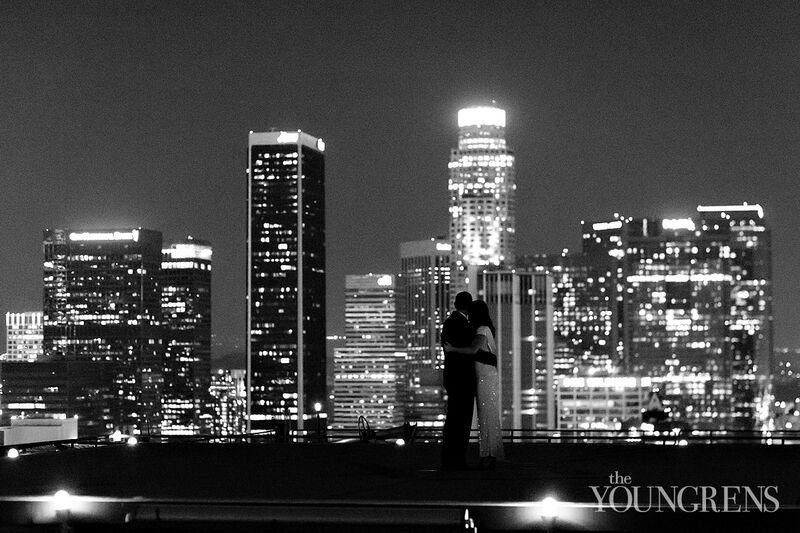 And to be honest… this wasn’t exactly it.It was SO. 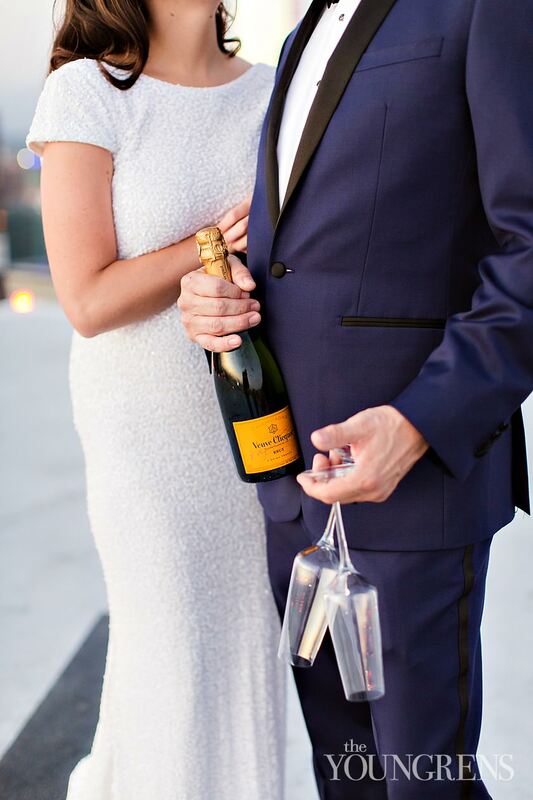 MUCH. 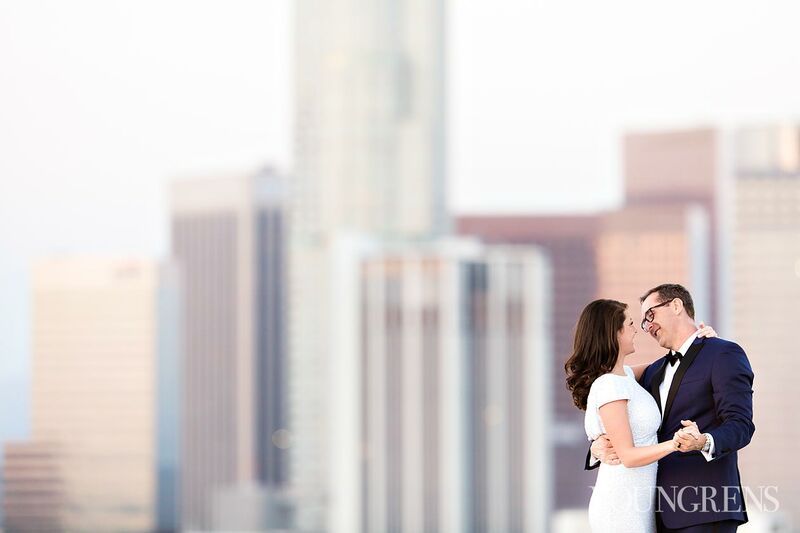 BETTER.When she met Paul, her life flourished into a beautiful garden of deeply rich, intensely joyful moments... and the life they’ve built together goes beyond her wildest dreams.Downtown Los Angeles is the backdrop to Paul and Sierra’s love story, and when they see the striking skyline, it ignites alllll the feels in their city-dwelling hearts.This city holds the love-filled leaps of faith they’ve journeyed together. 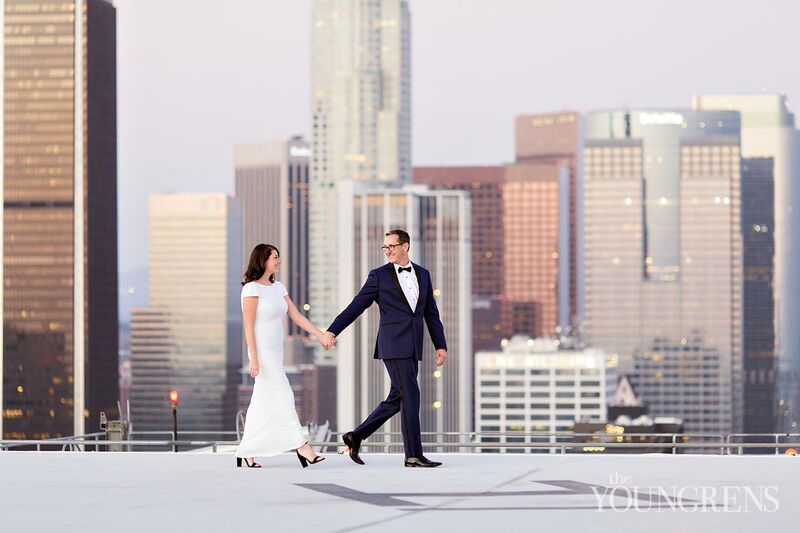 It’s where they’re chasing their dreams and spending dedicated hours at the hockey rink supporting their favorite-team-EVAH. 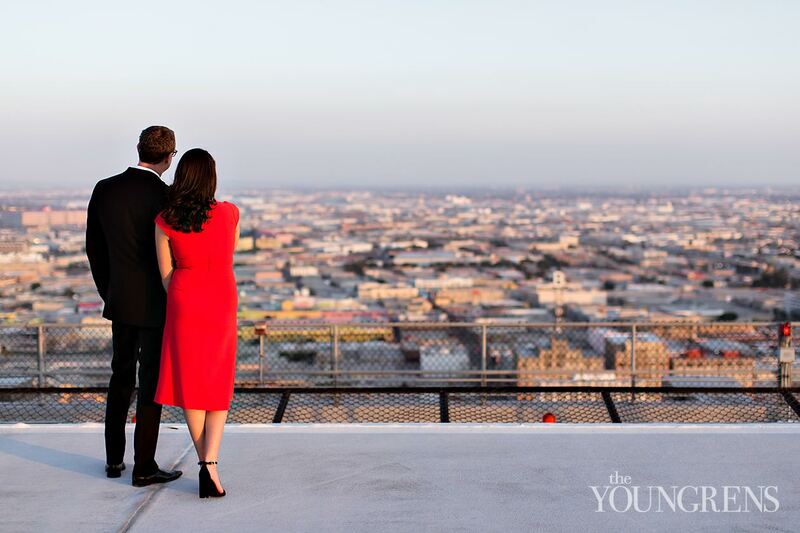 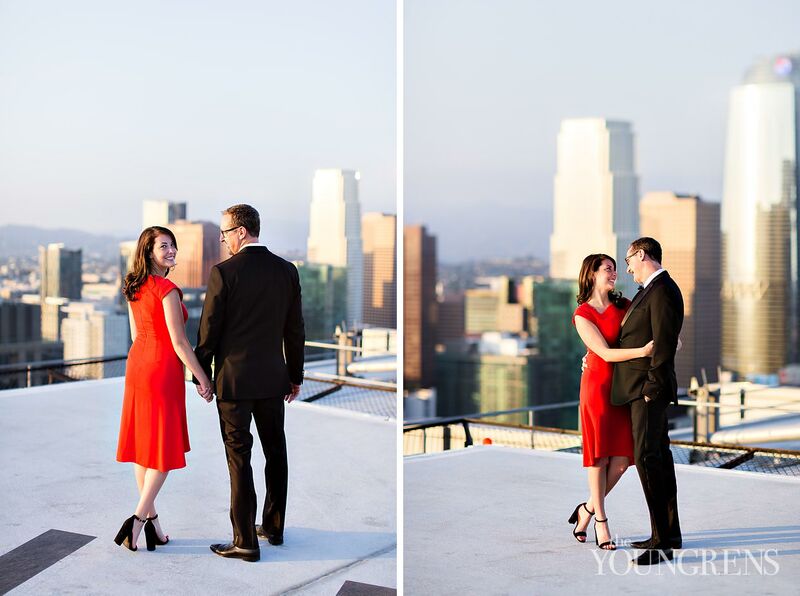 And it’s here in LA where they decided that forever seemed like an appropriate length of time to spend together - starting on a regular old Tuesday, in a courthouse.Paul and Sierra couldn’t have imagined waiting one more day to start their forever together - so instead of celebrating their engagement on this oh-so-epic helipad in Downtown Los Angeles, we were actually celebrating their wedding!Thirty stories above the streets of LA with airplanes gliding by at eye-level, these newlyweds slow-danced to Frank Sinatra... they poured champagne, toasted, and soaked in the sunset that glowed all around us - and OH MY WOW. 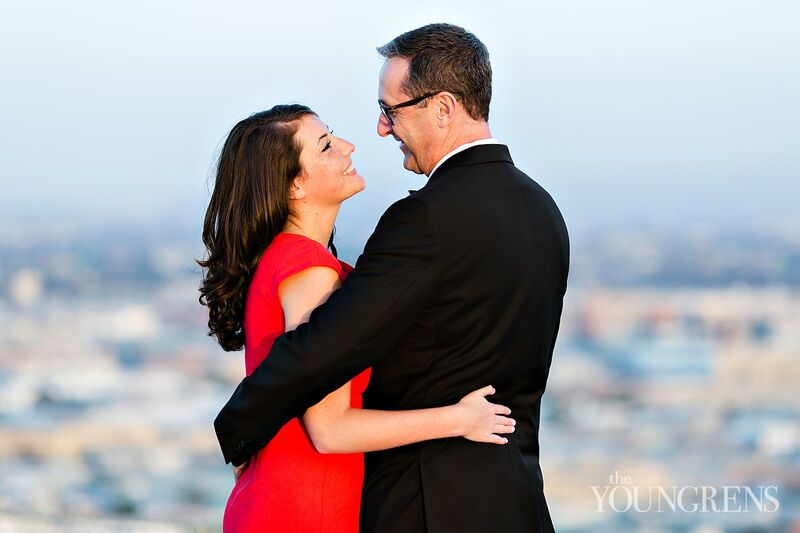 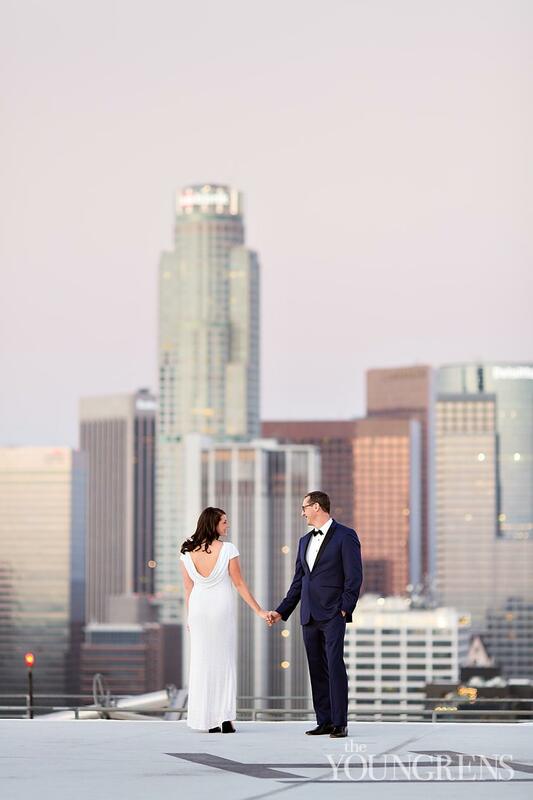 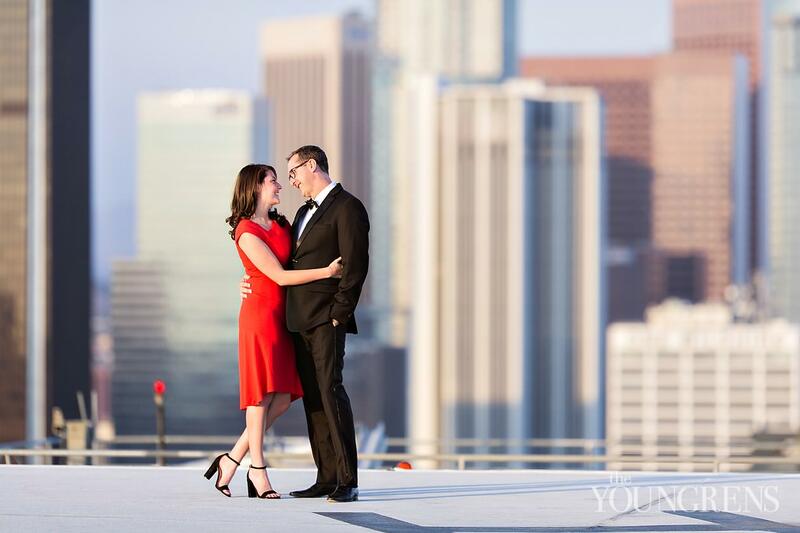 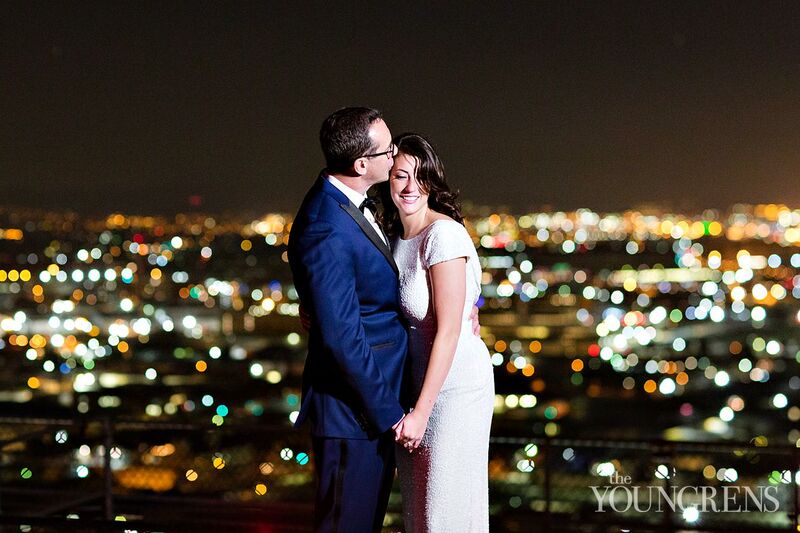 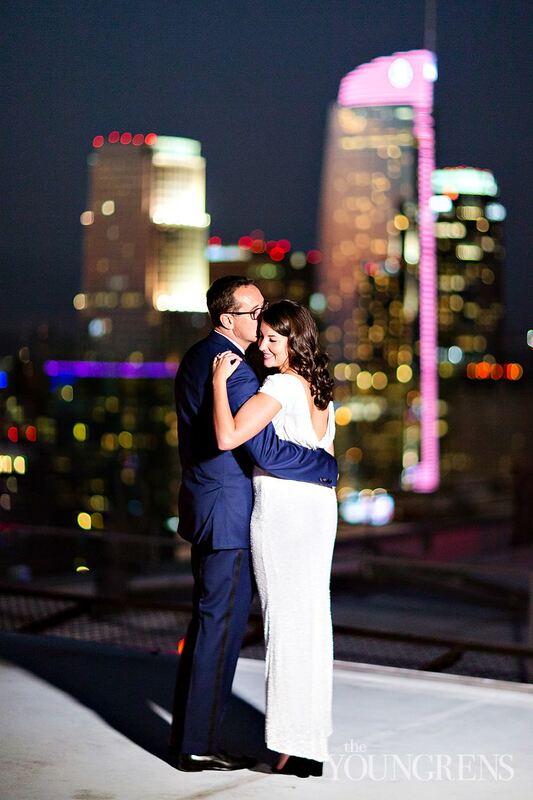 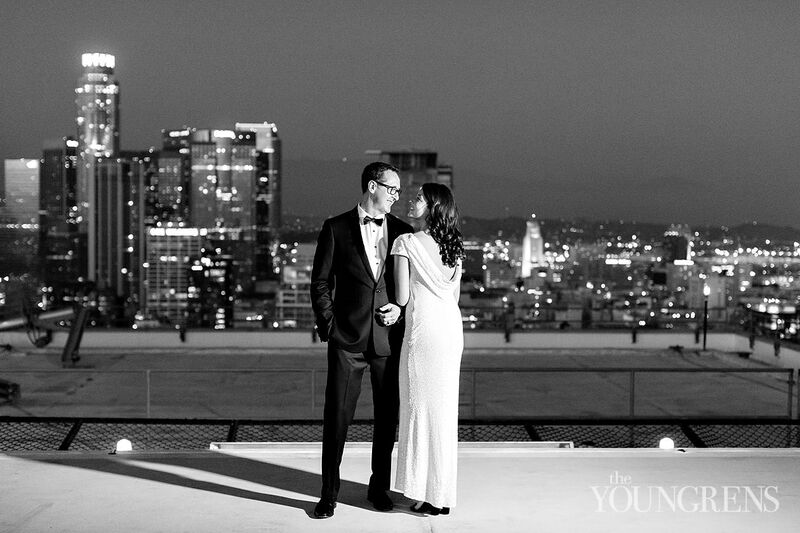 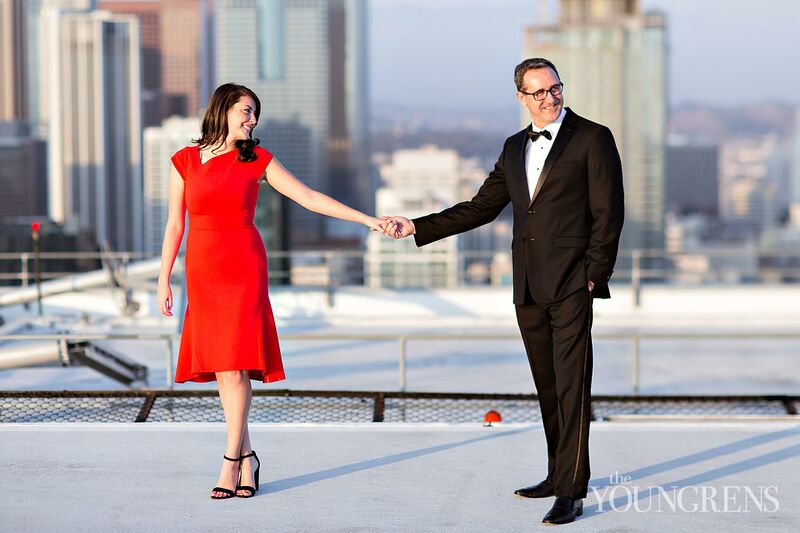 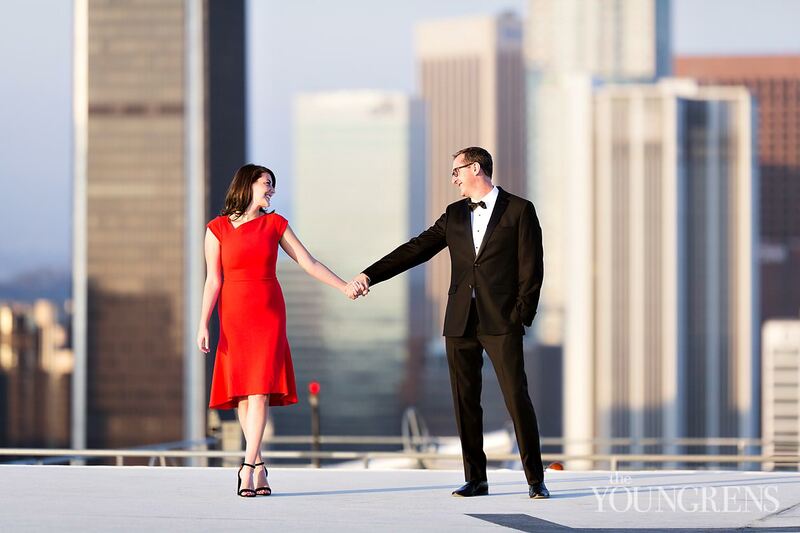 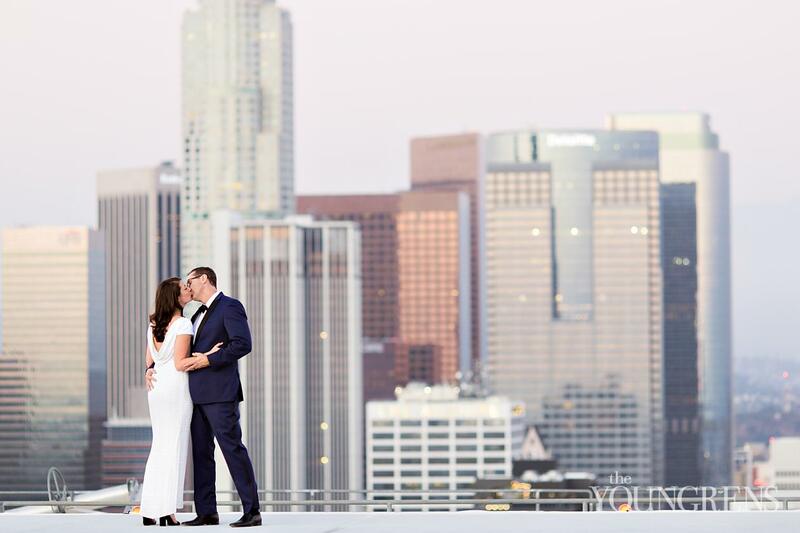 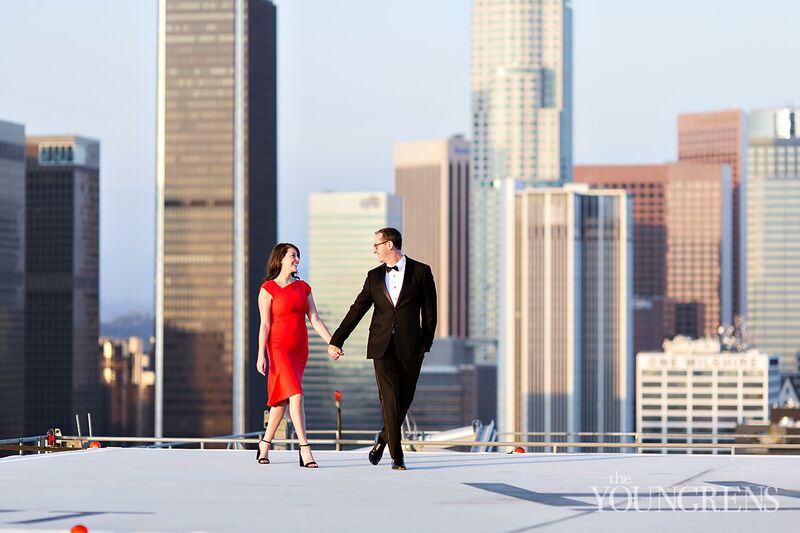 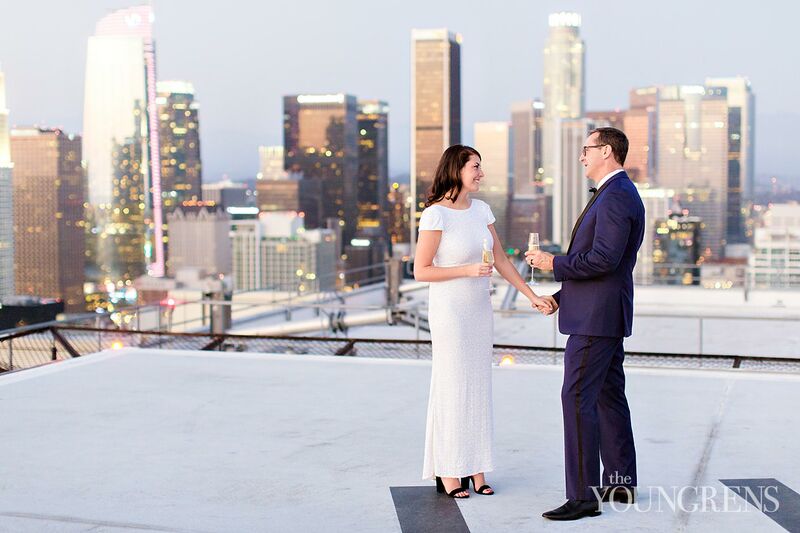 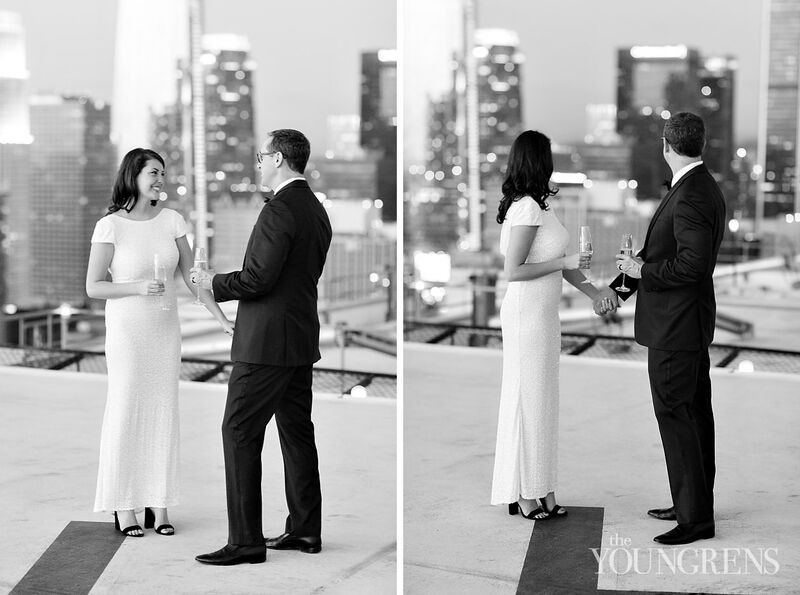 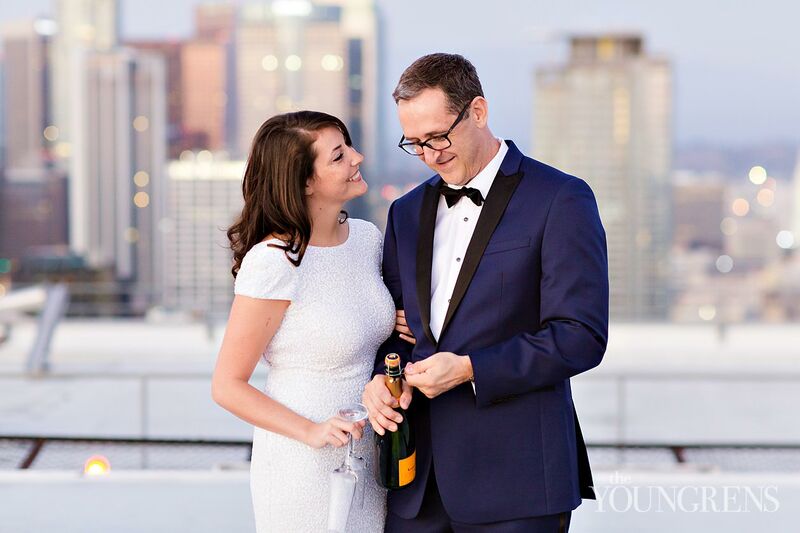 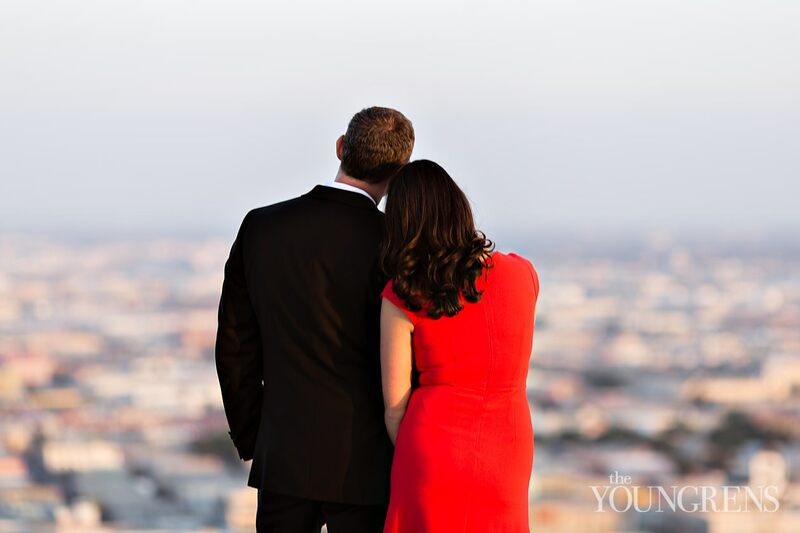 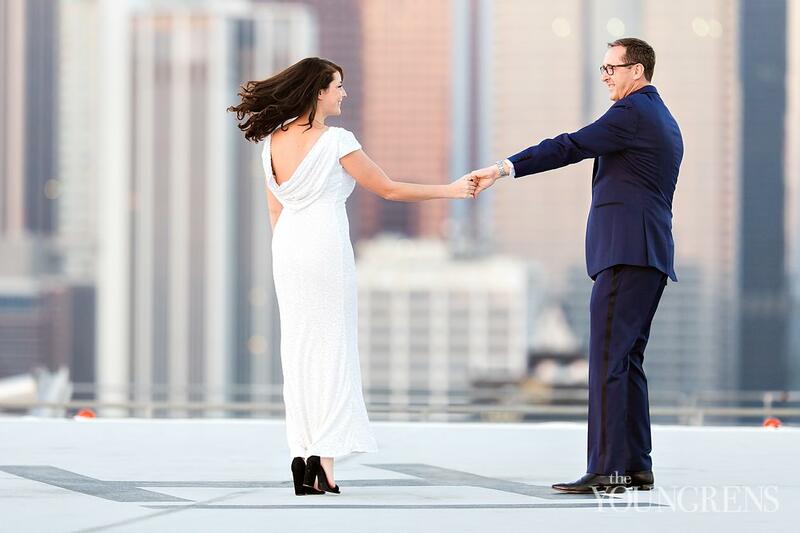 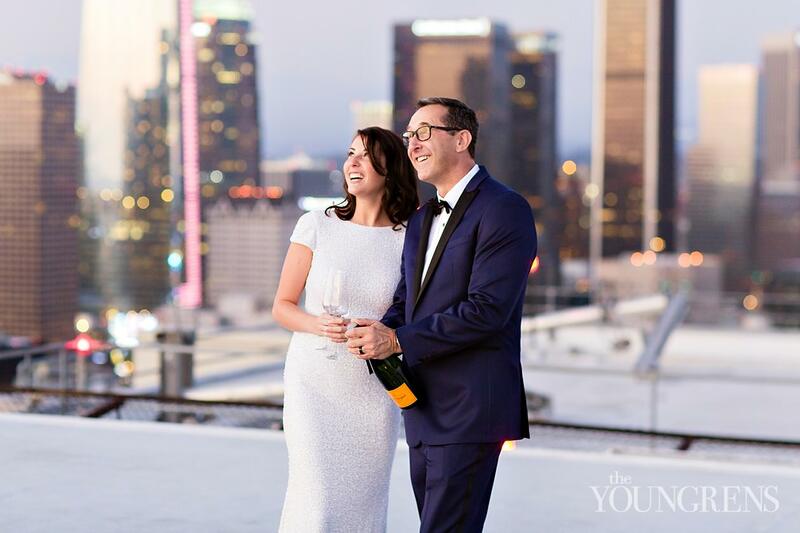 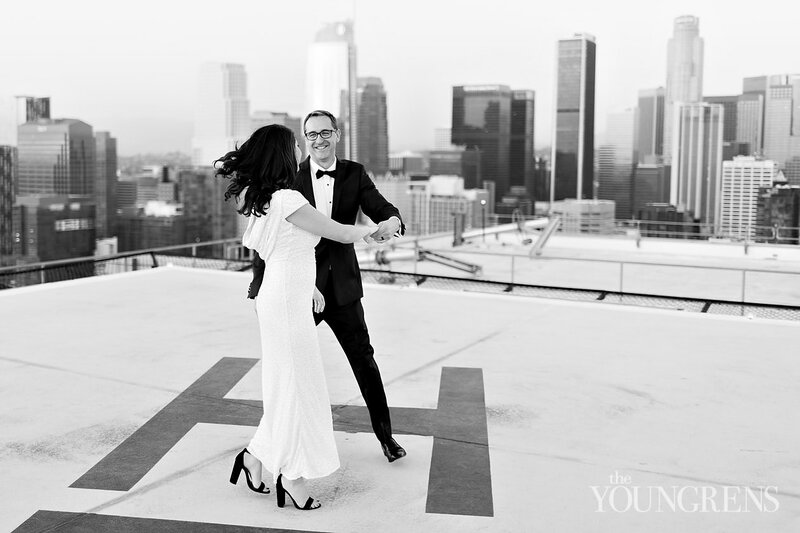 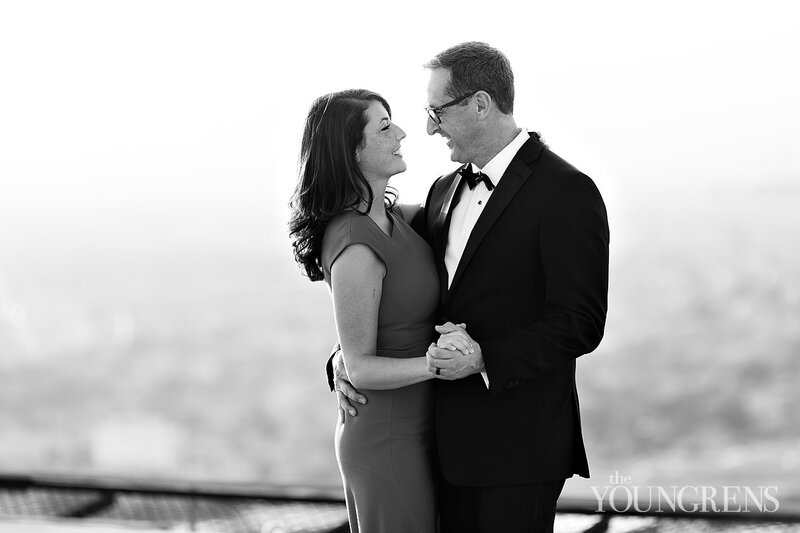 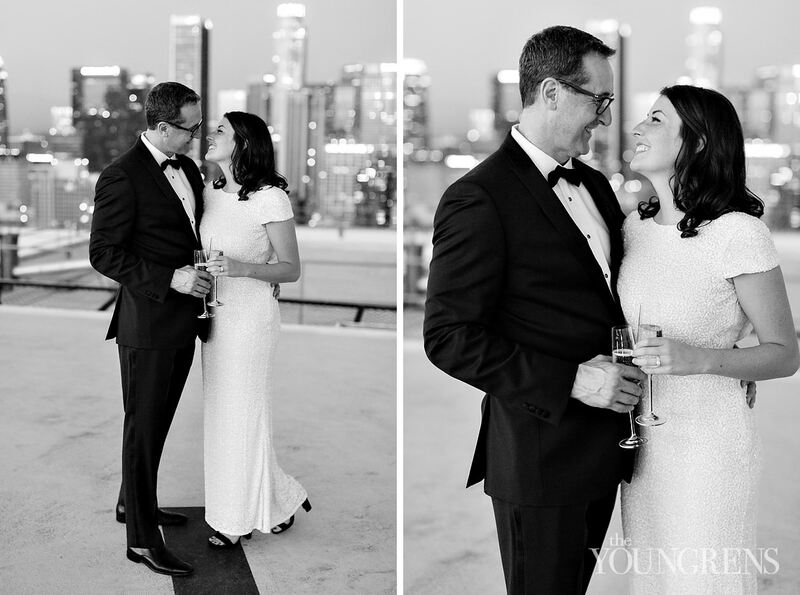 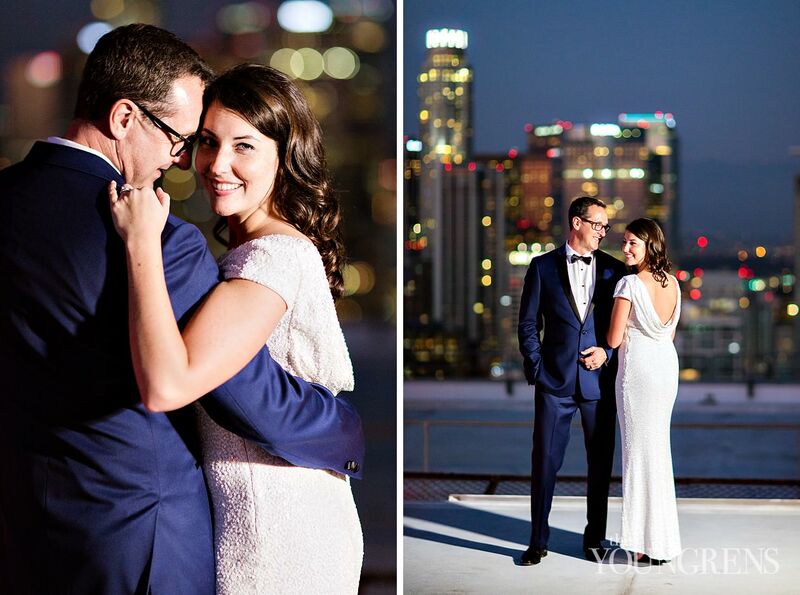 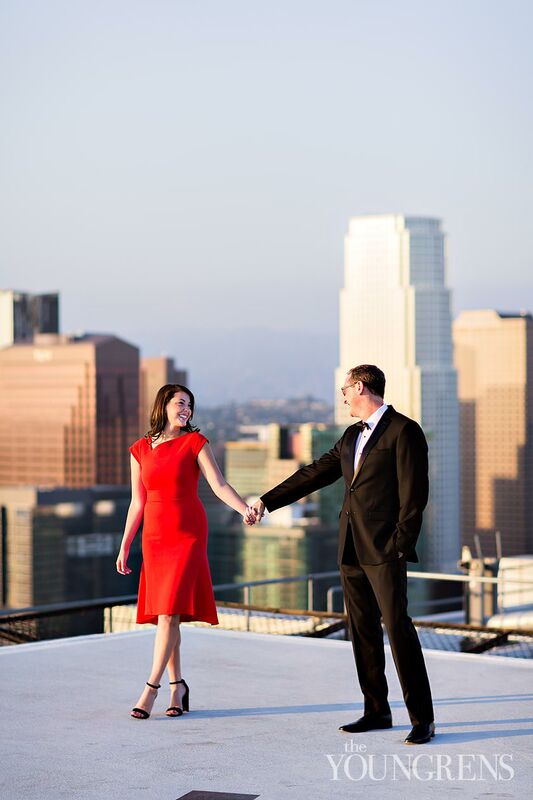 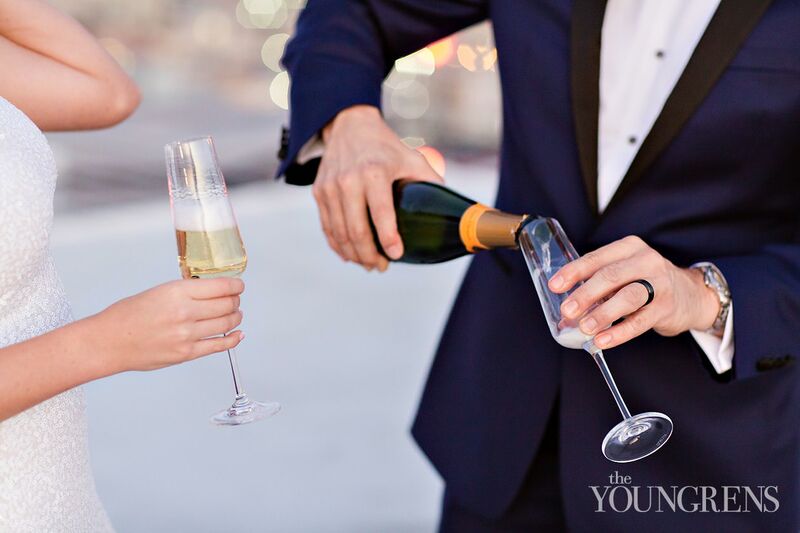 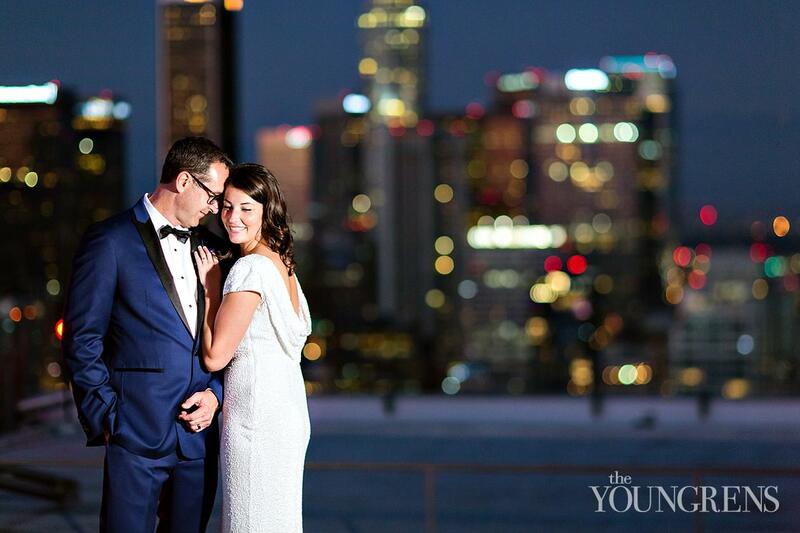 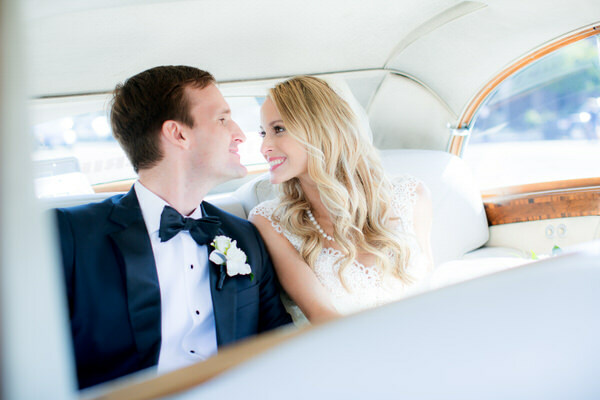 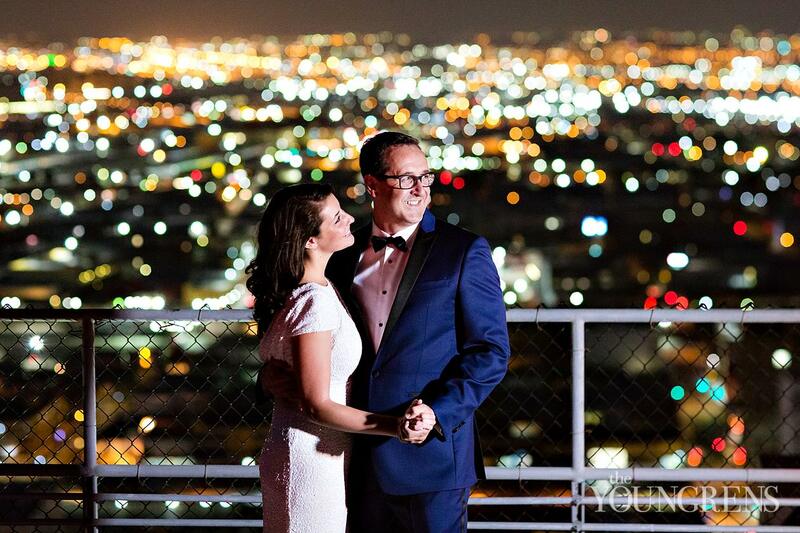 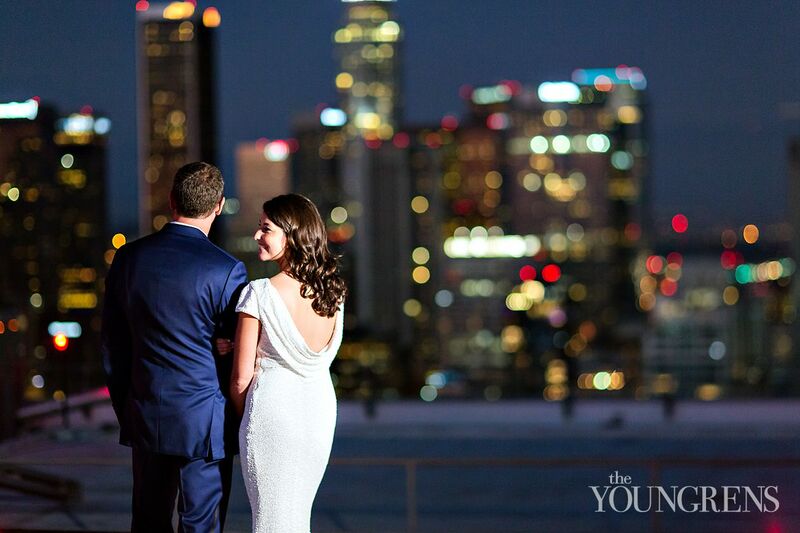 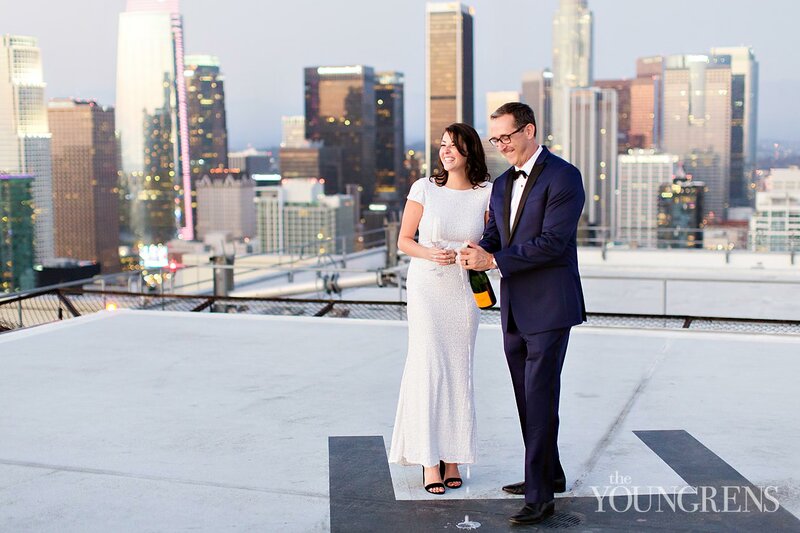 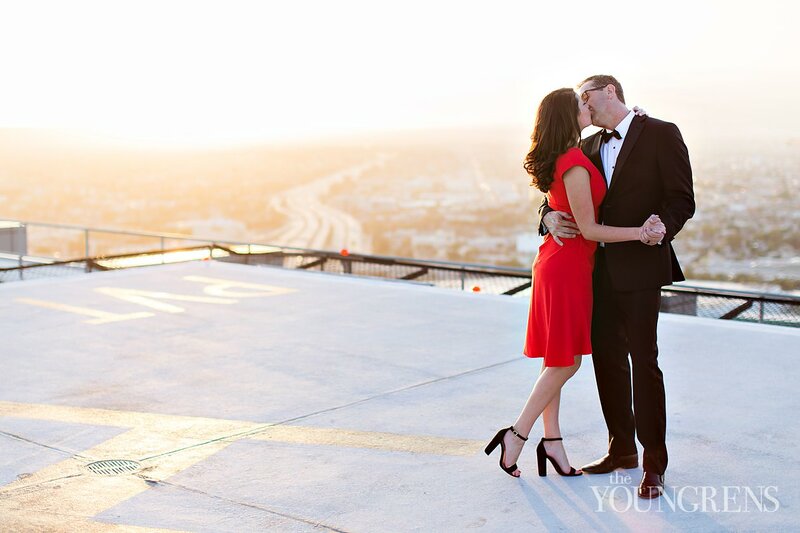 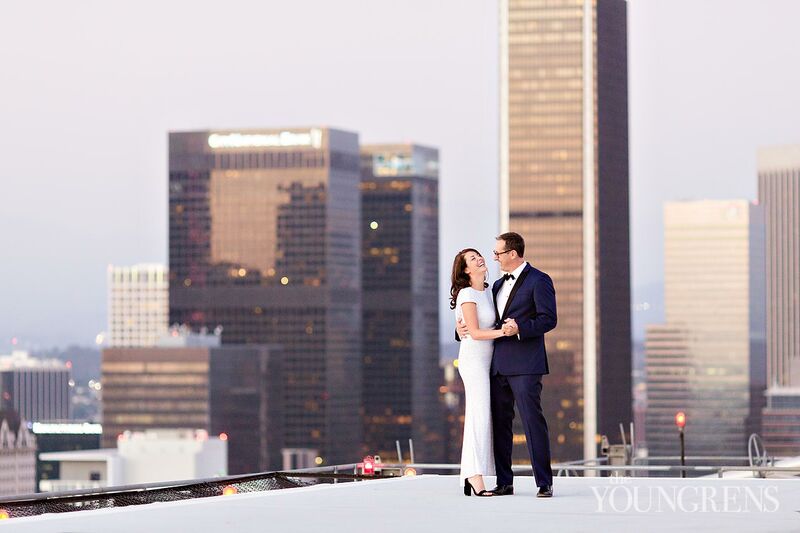 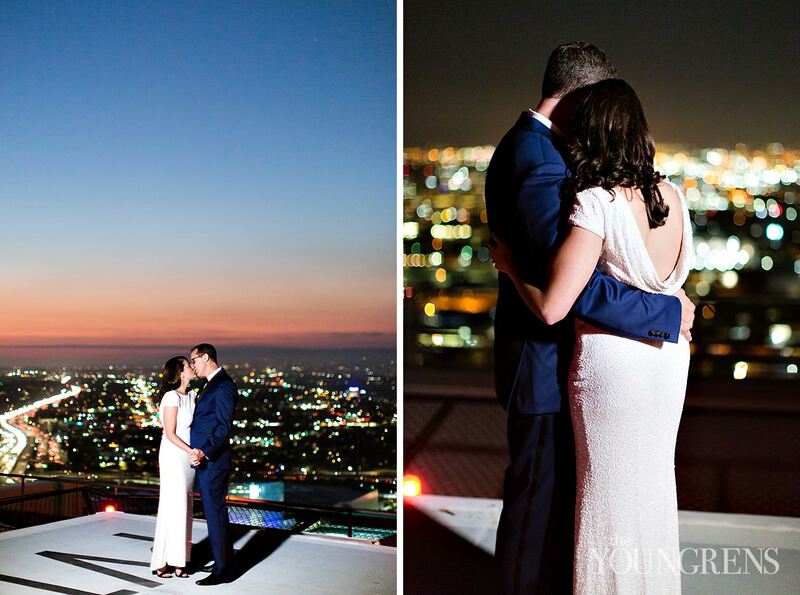 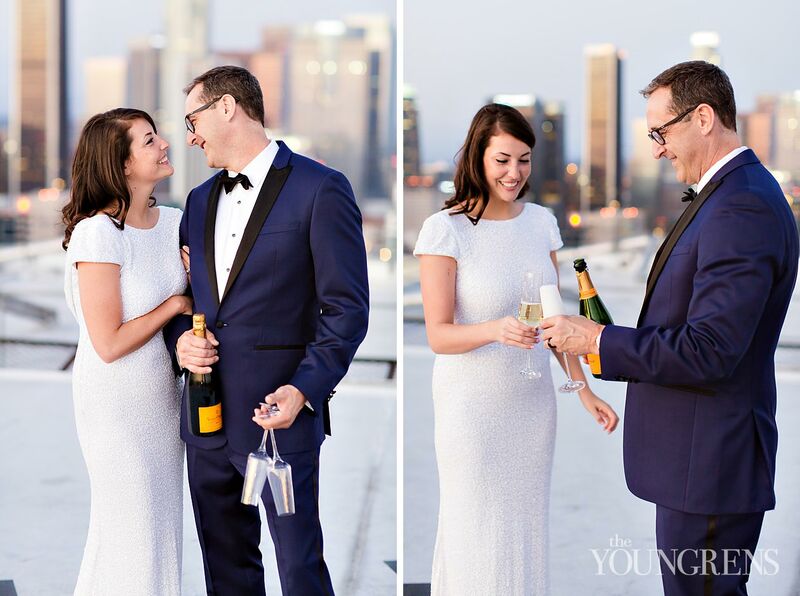 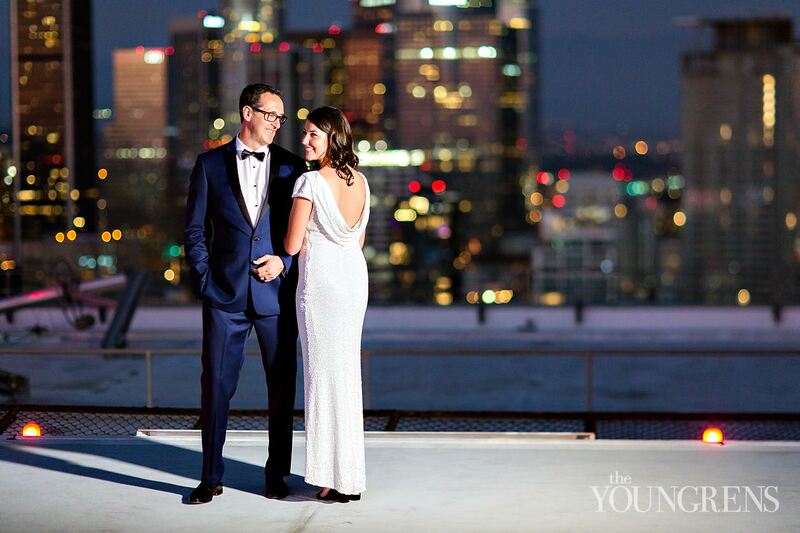 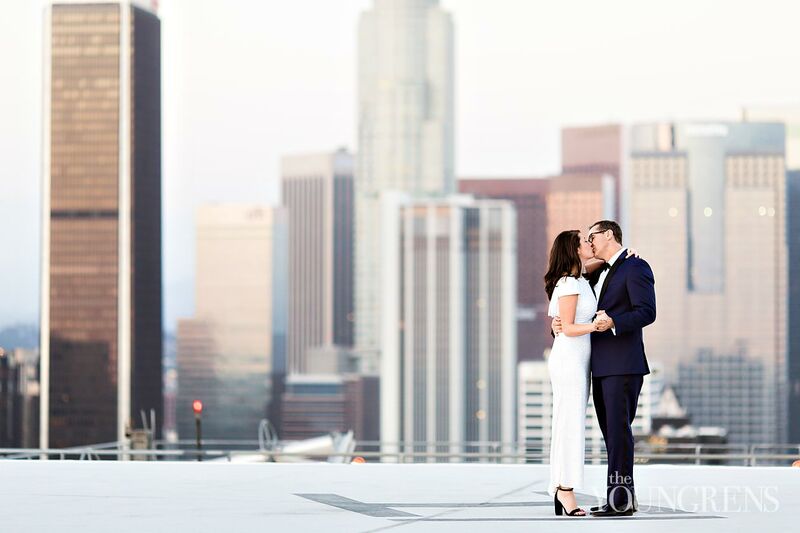 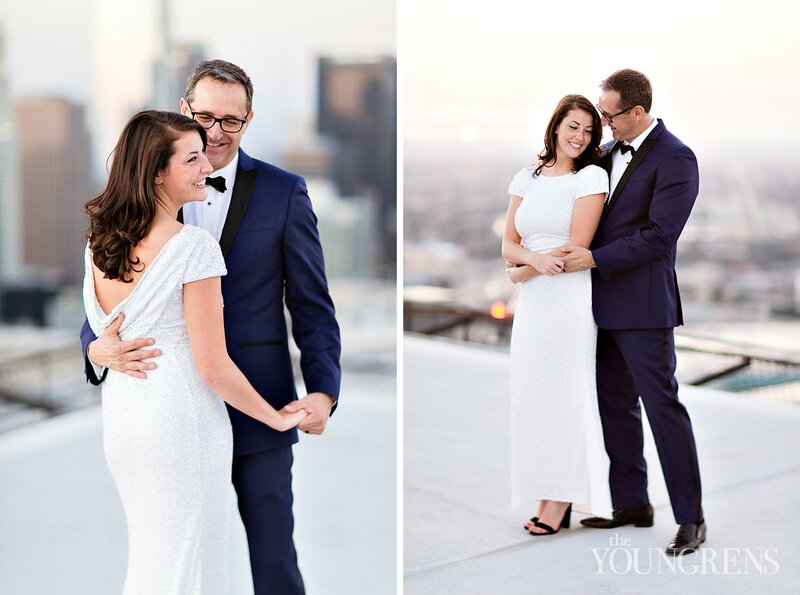 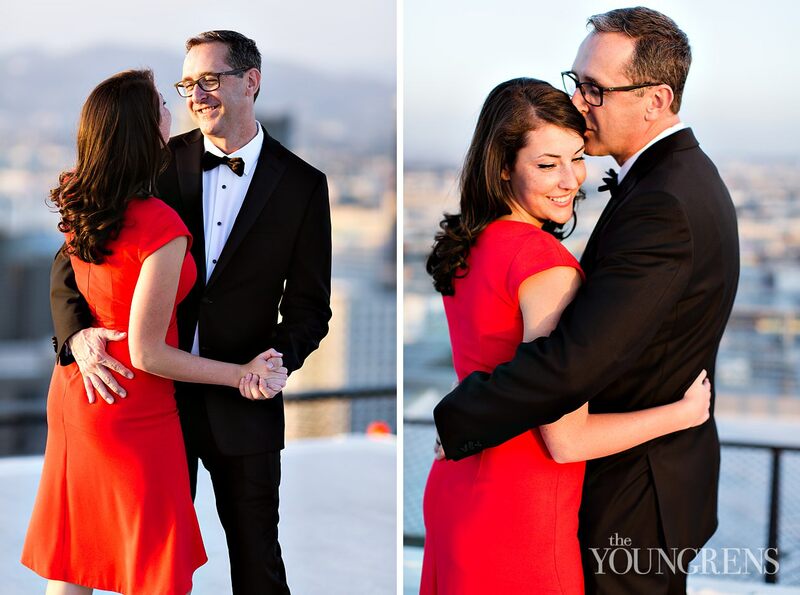 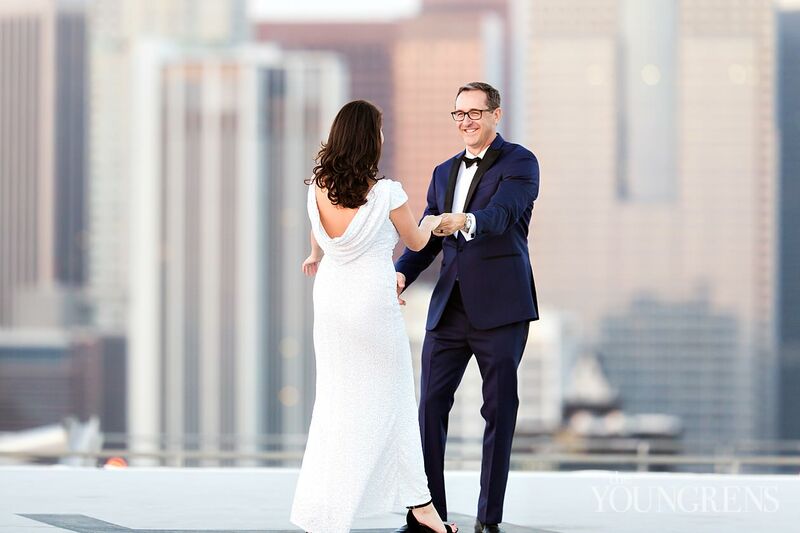 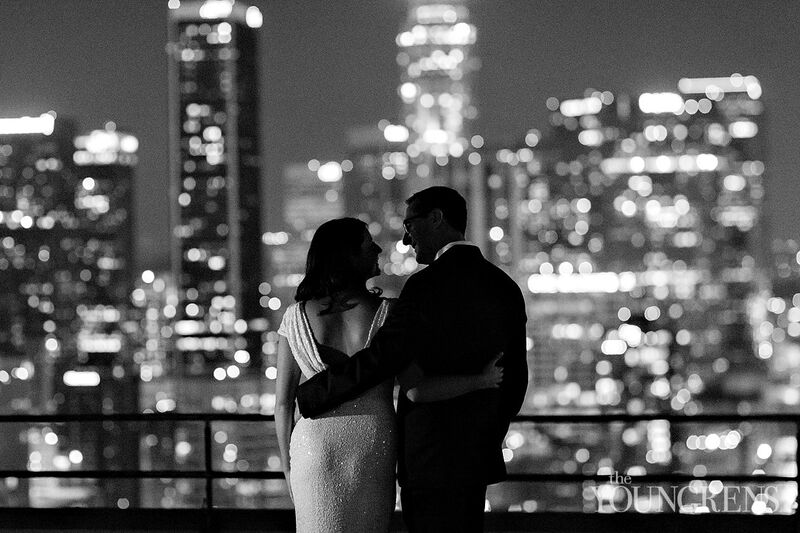 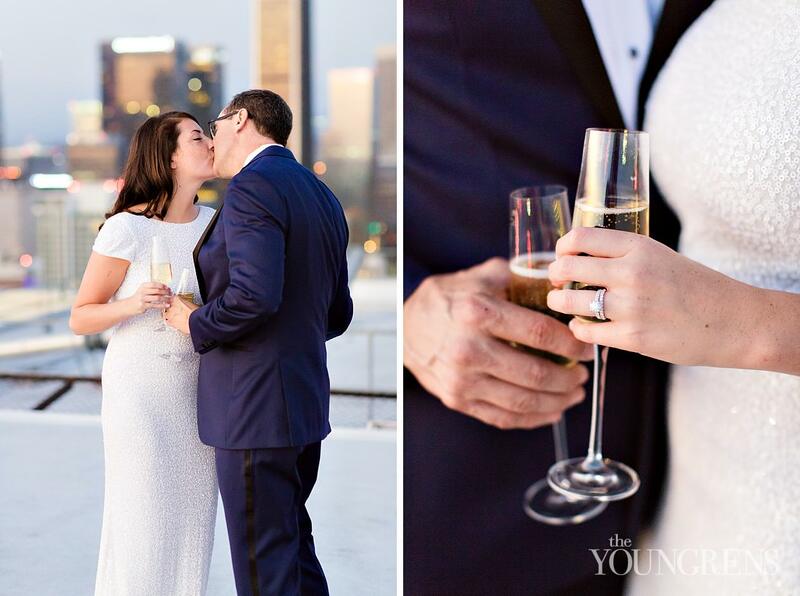 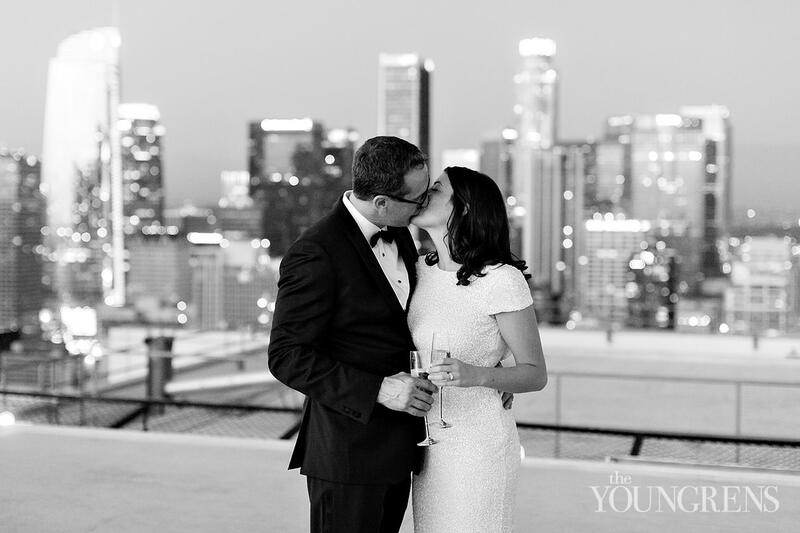 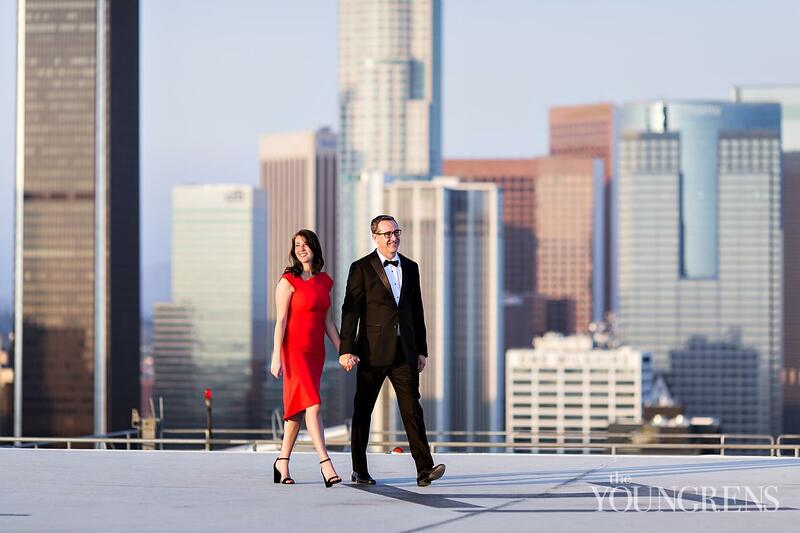 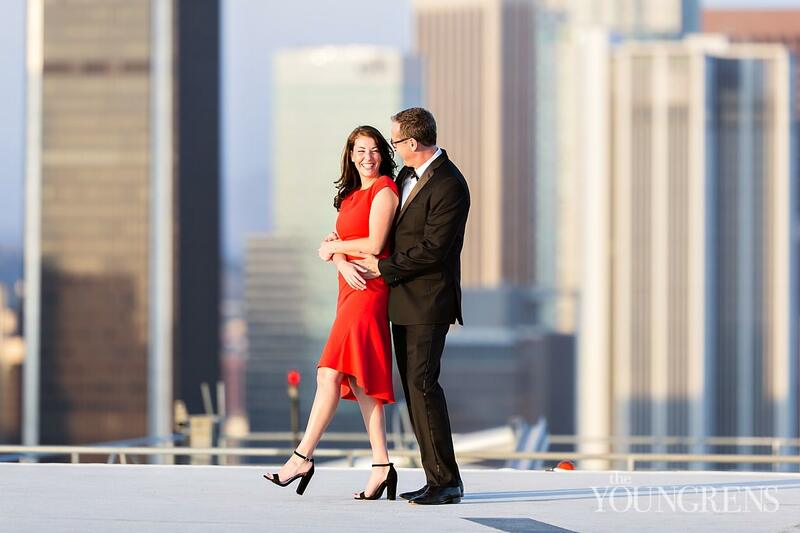 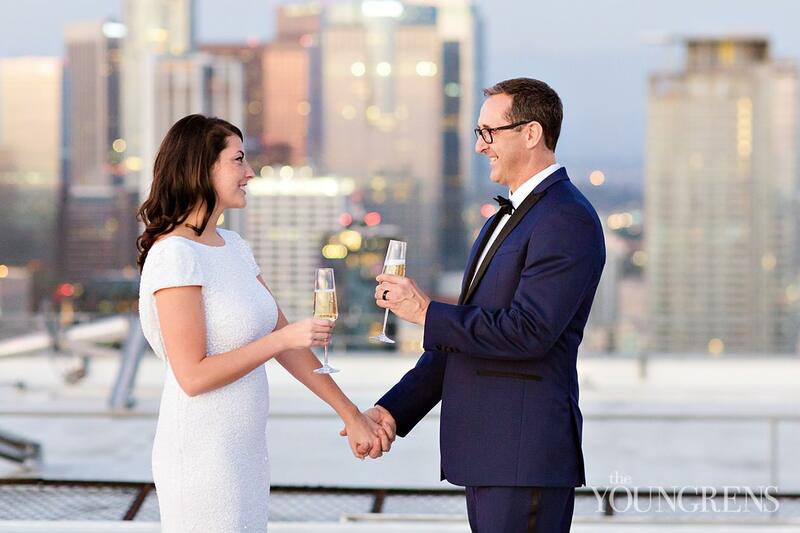 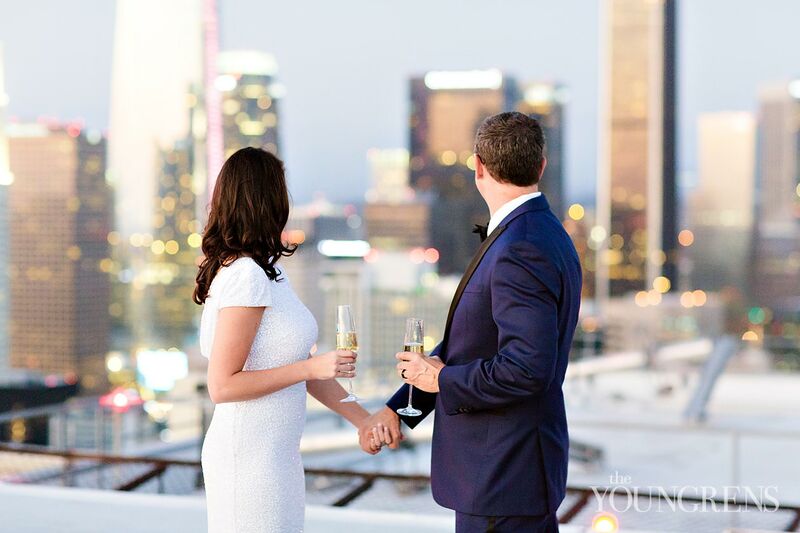 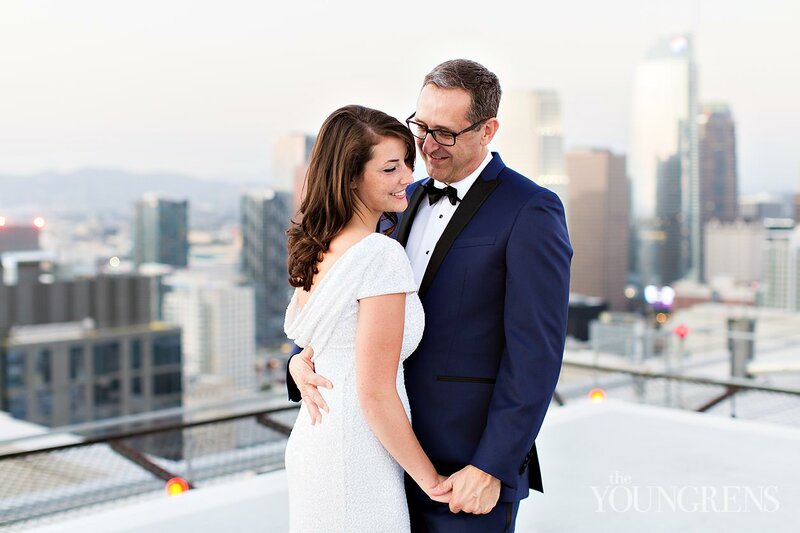 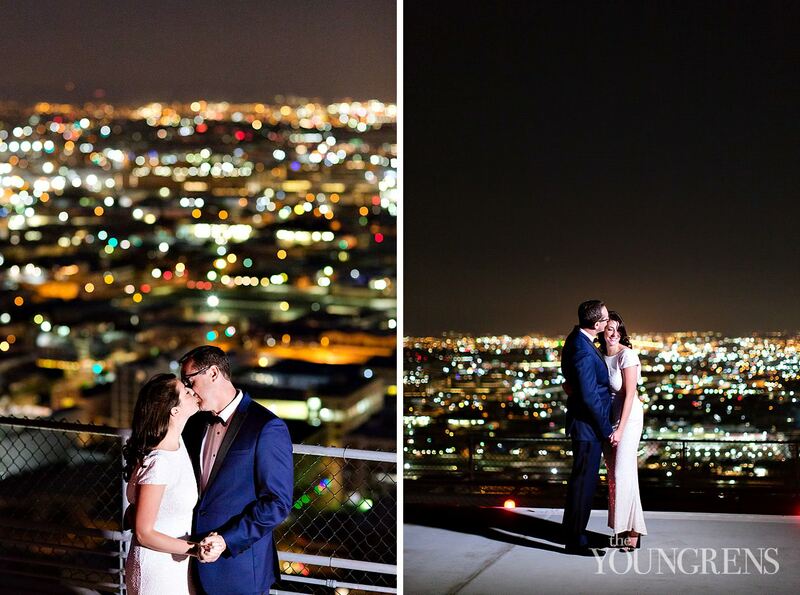 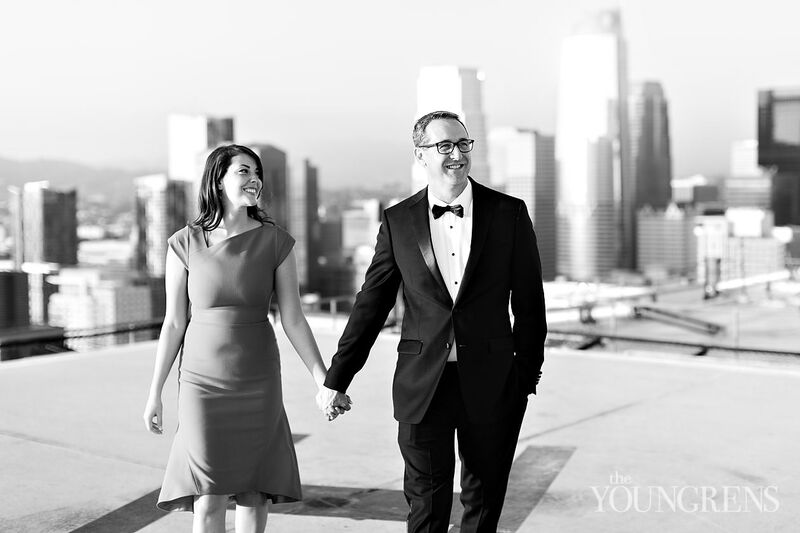 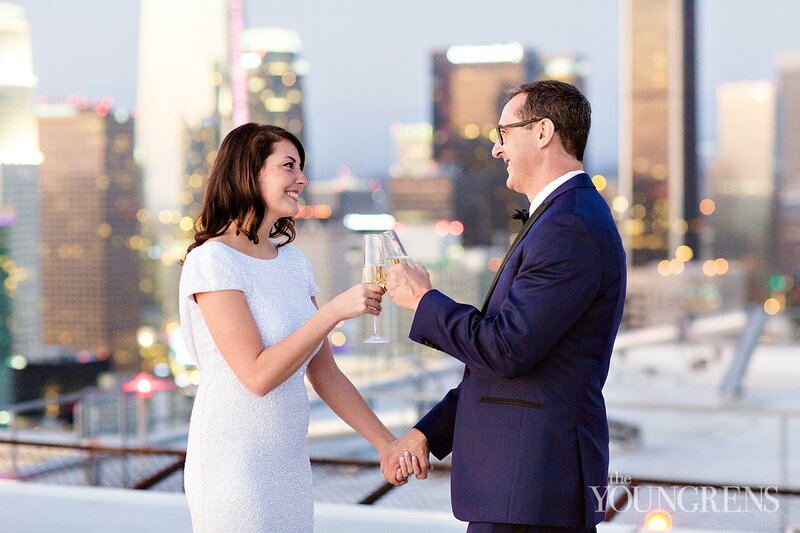 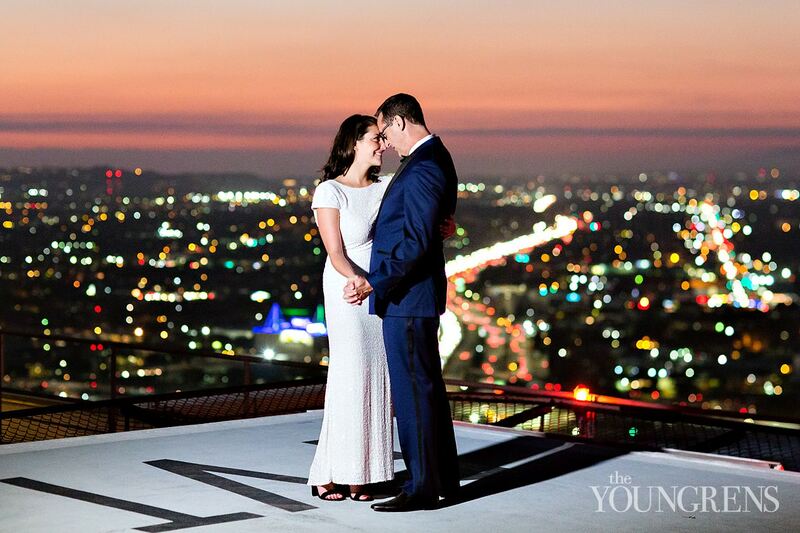 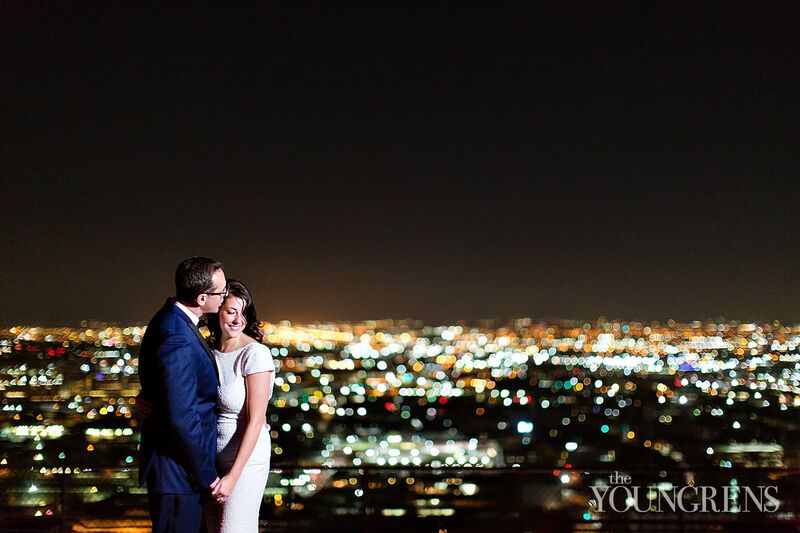 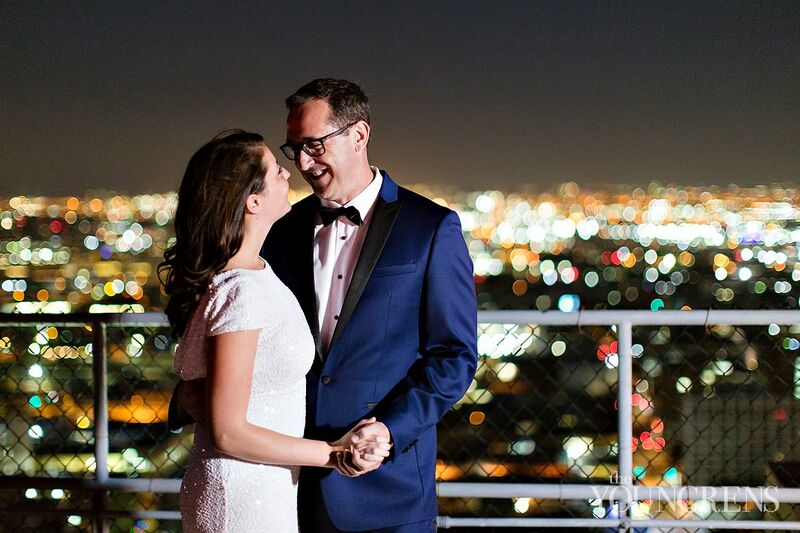 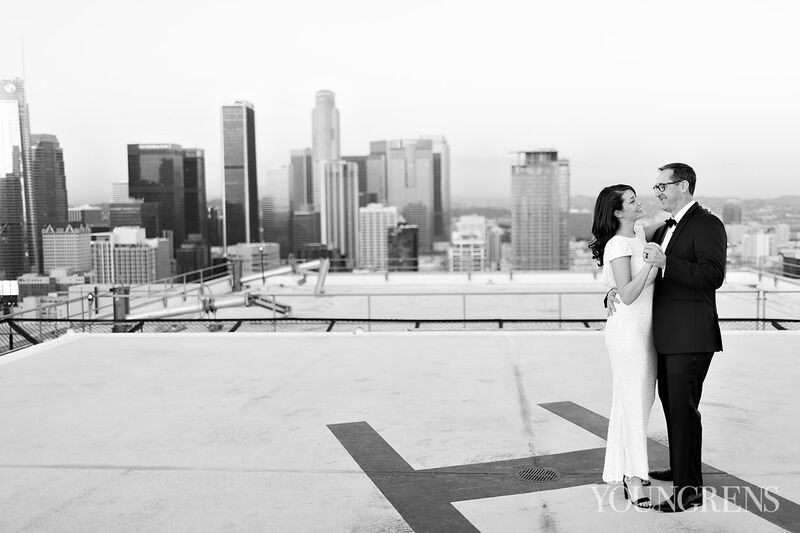 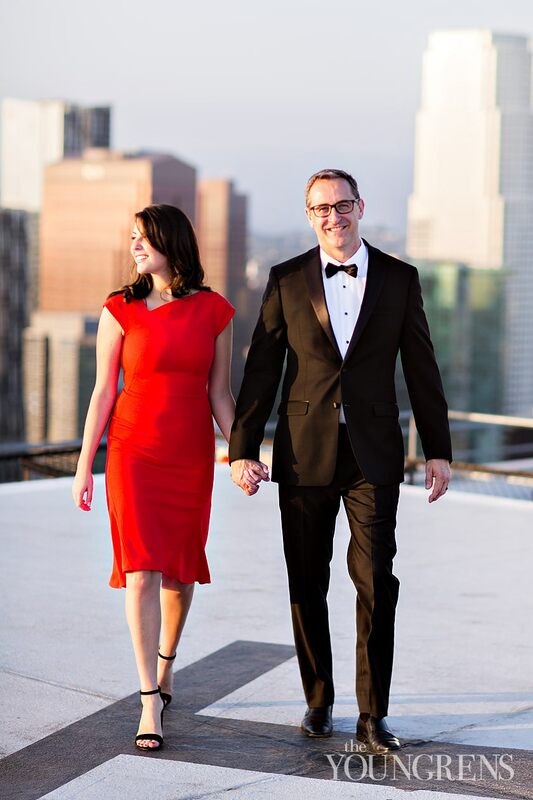 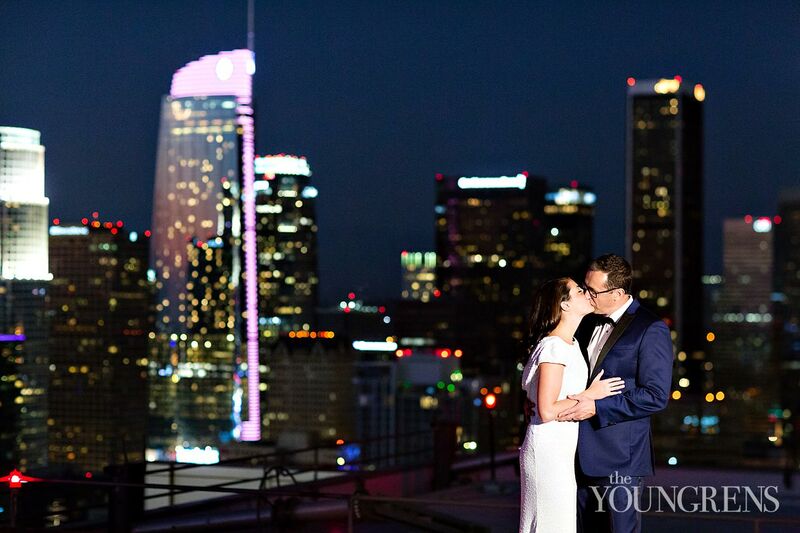 It was magical, my friends!Jeff and I were seriously giddy the whole evening as we stood overlooking Downtown LA with these sweet souls! 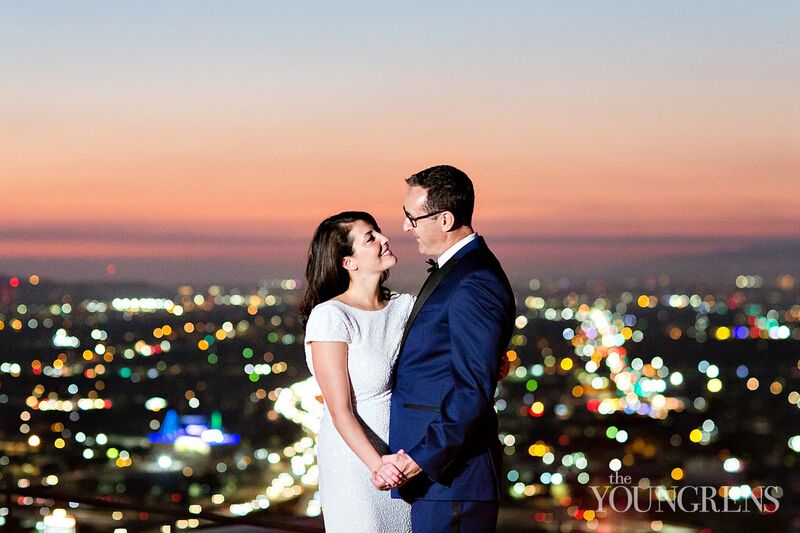 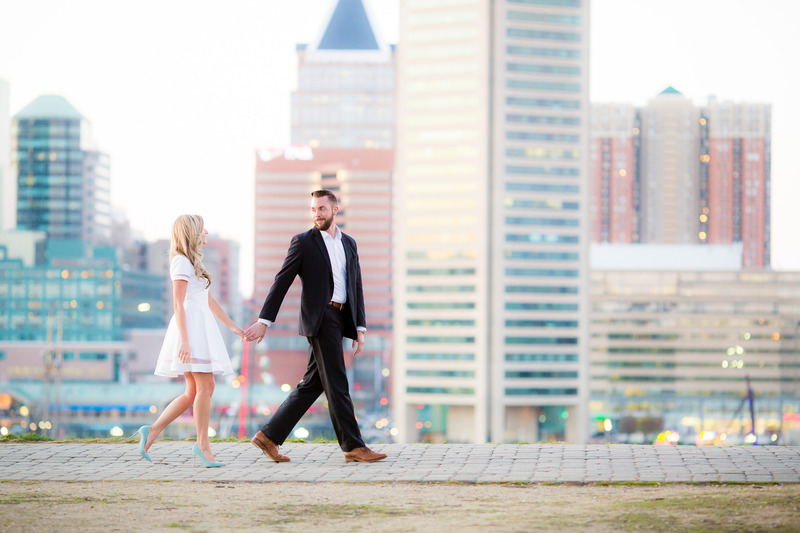 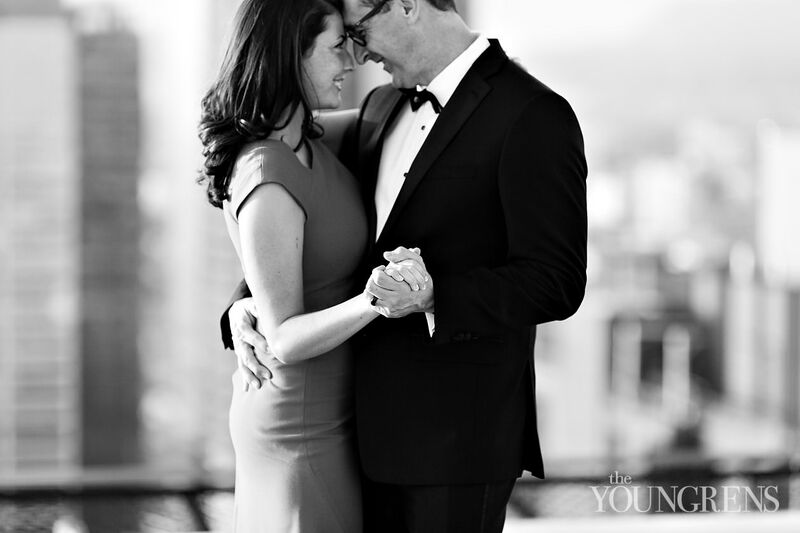 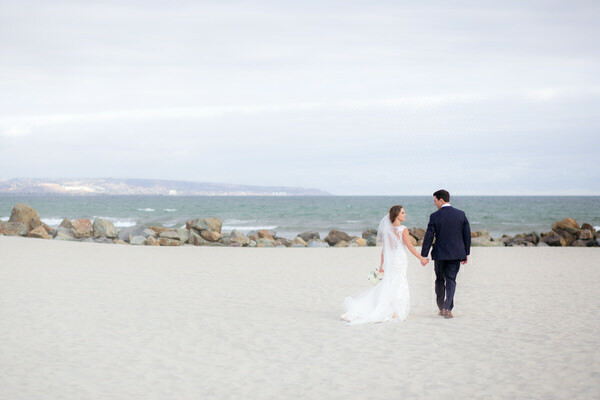 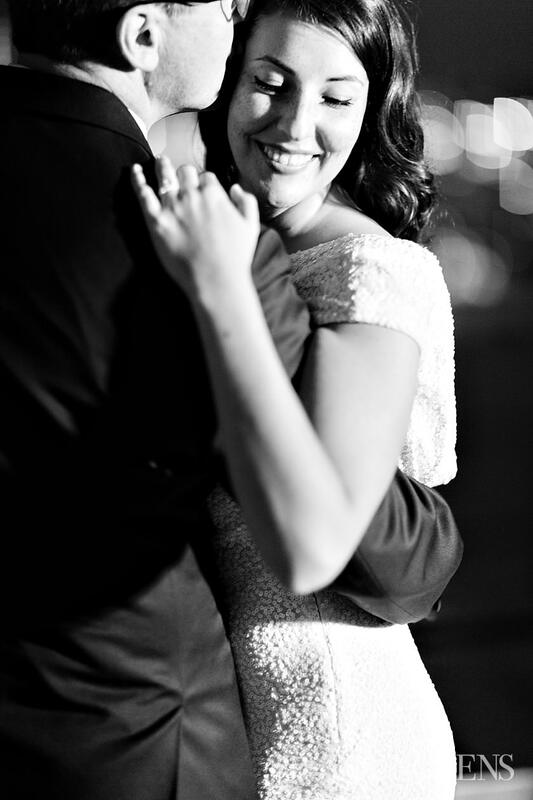 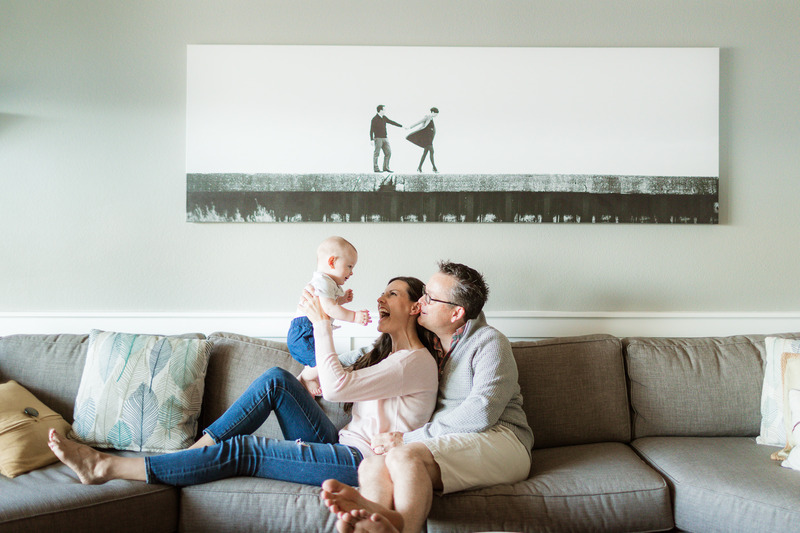 I’m over the moon to share this session with you!